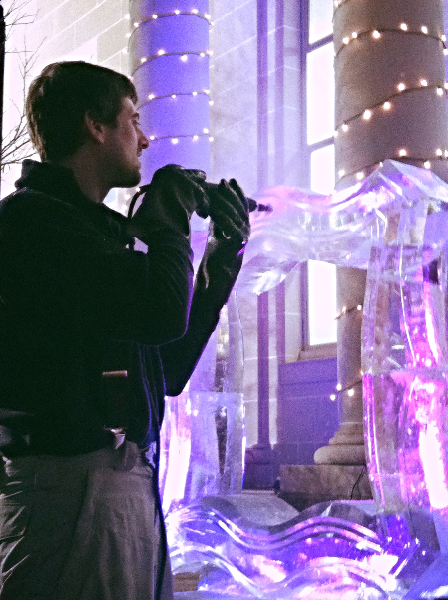 Why not turn your next event into a truly unique experience. 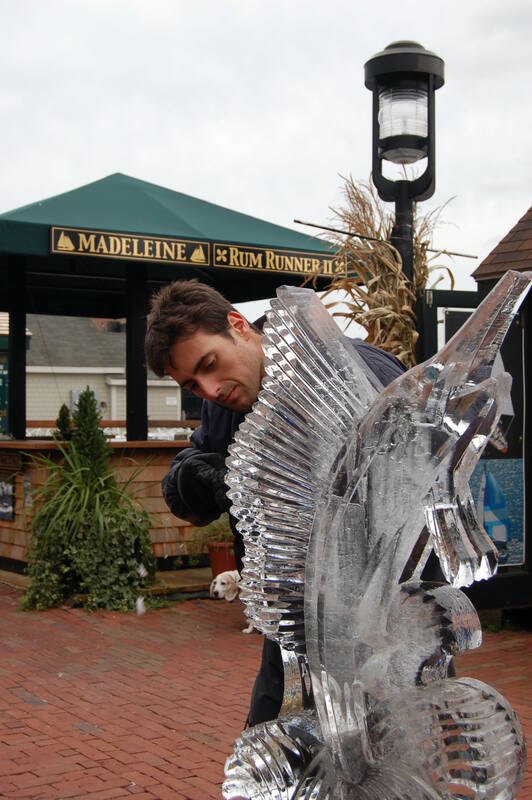 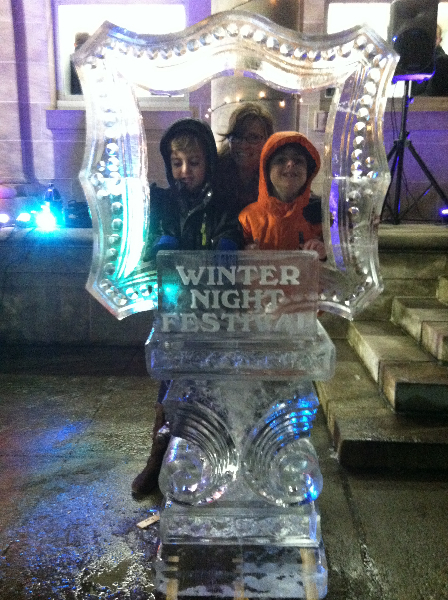 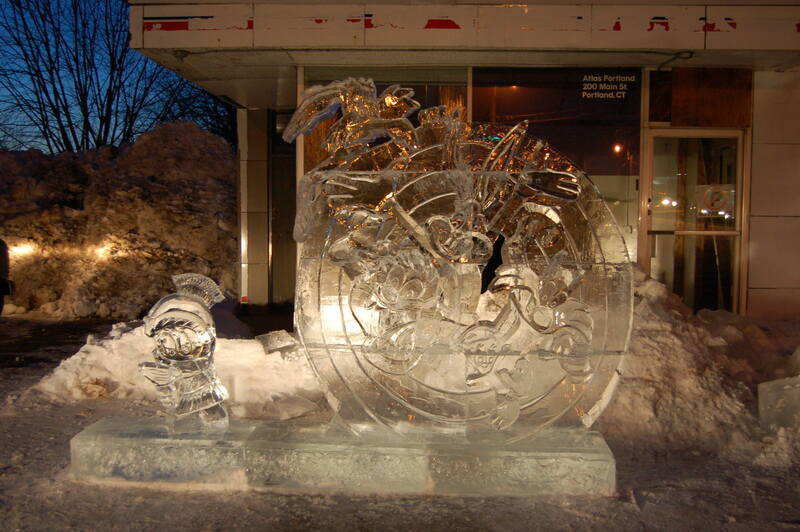 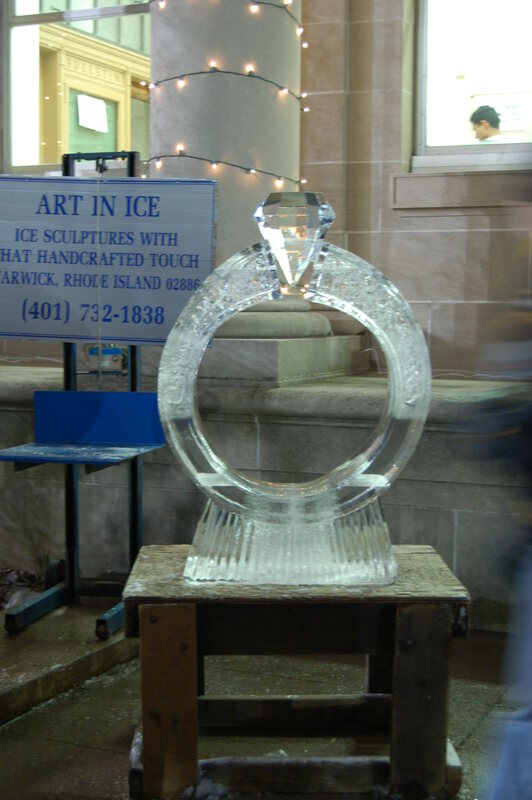 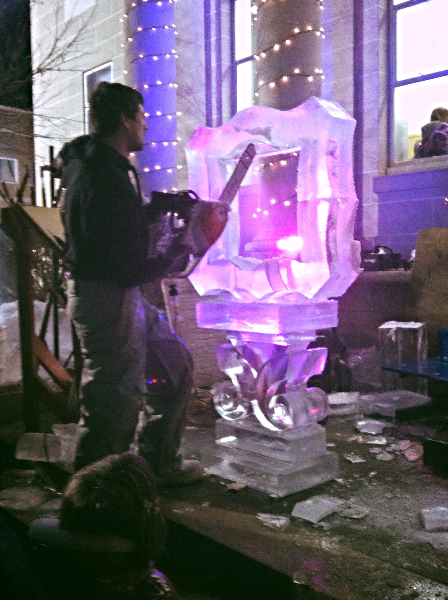 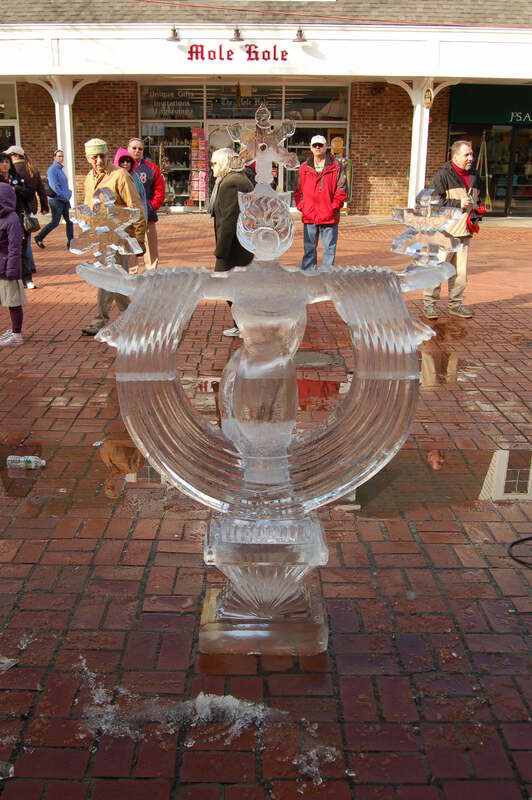 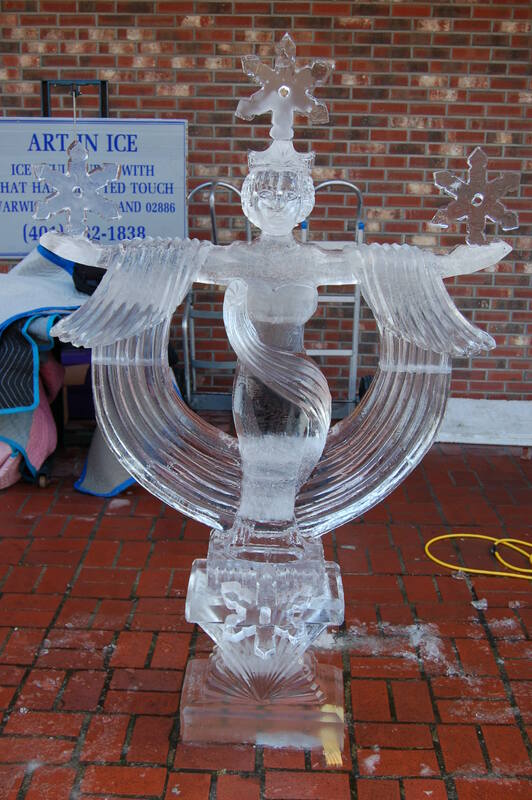 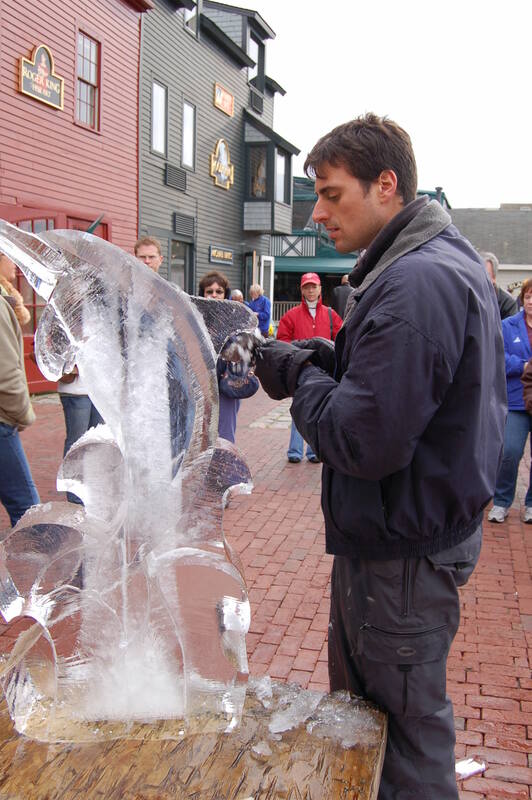 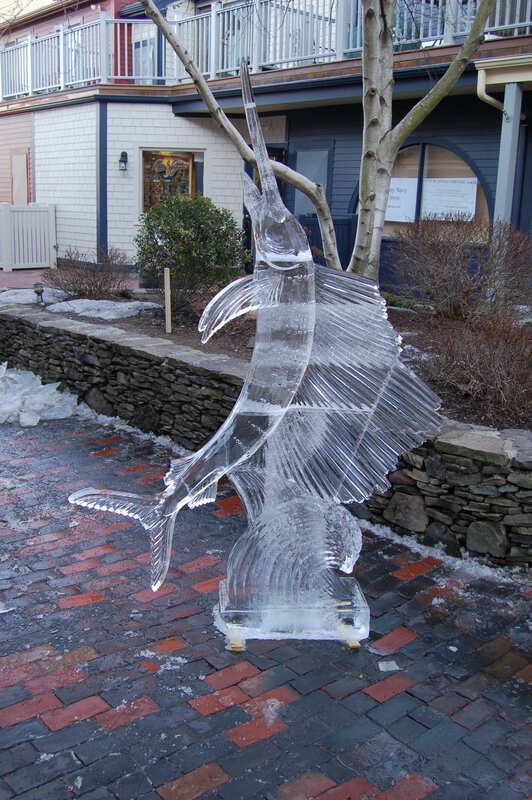 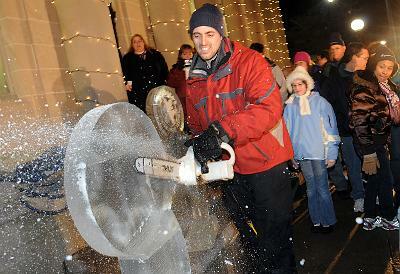 An ice carving demonstration by Art in Ice is a great way to entertain any group, young or old. 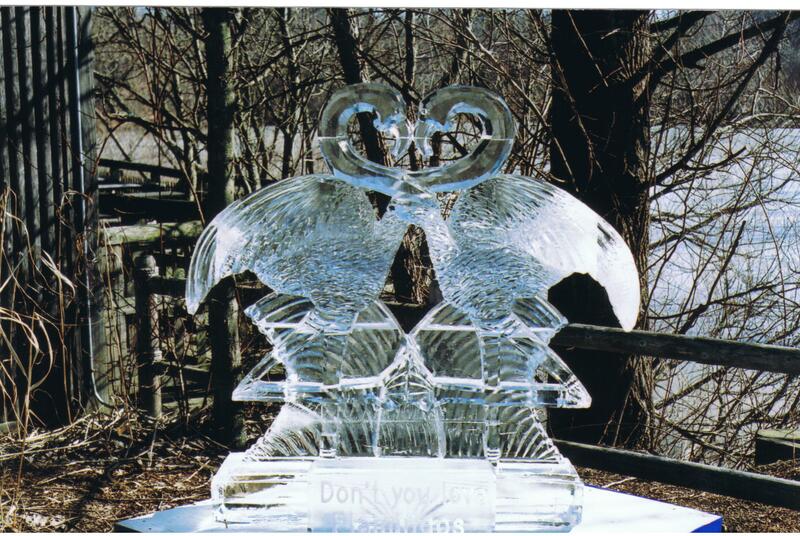 Your guests will be amazed as they see two 300 pound blocks of ice turn into beautiful sculptures. 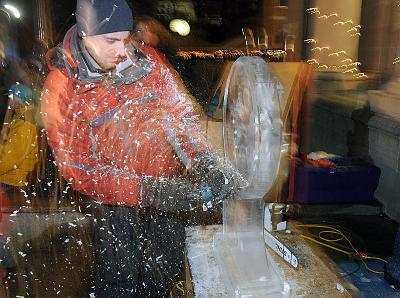 It’s like watching an artist paint a picture right before your eyes. 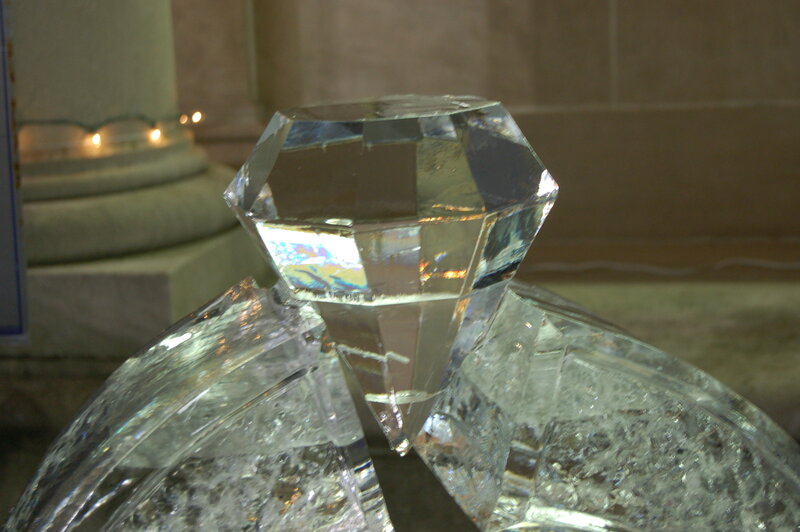 Whenever we do a demonstration, it becomes the focal point of the event. 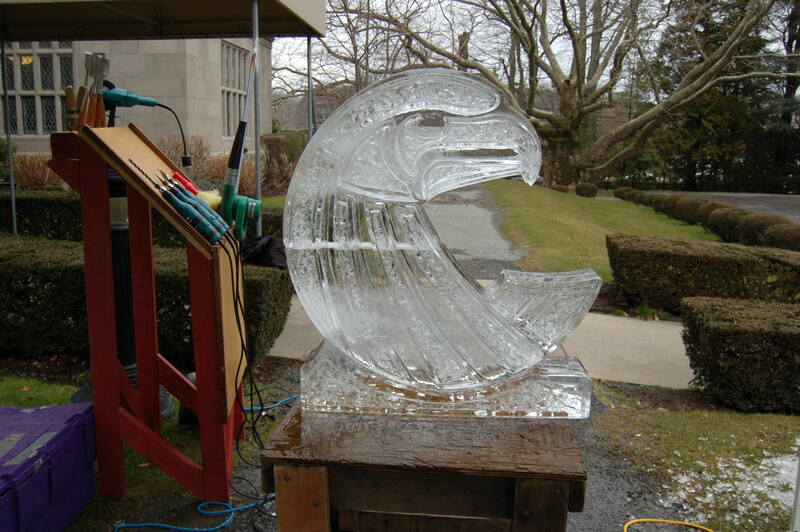 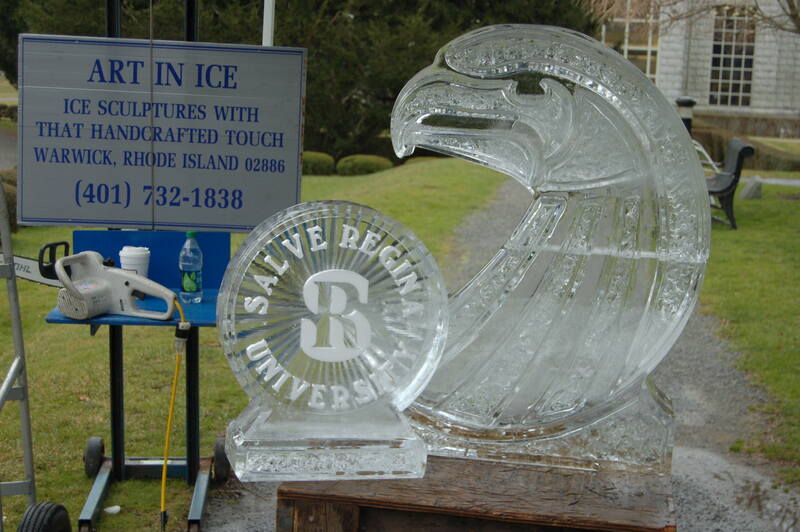 And if you are looking for a different way to recognize or thank a group or a corporate sponsor, why not let us put their logo into a beautiful hand carved ice sculpture. 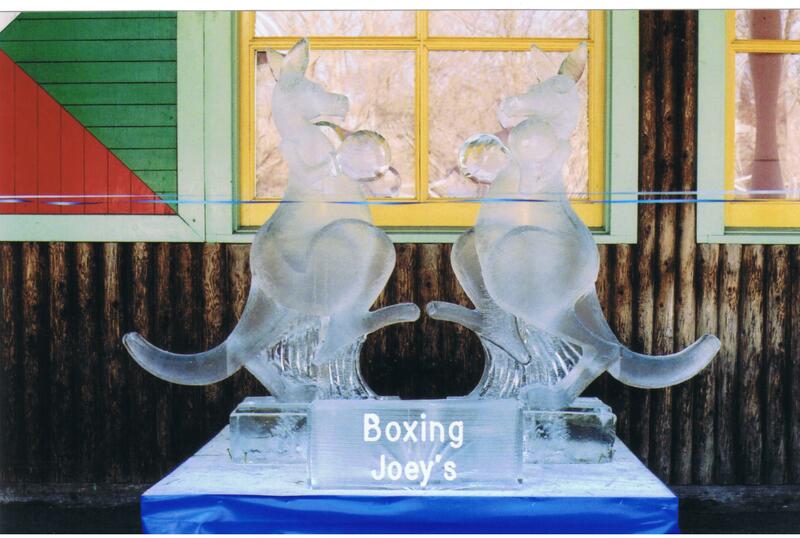 Whatever the event or the age group, it’s a great way to entertain.